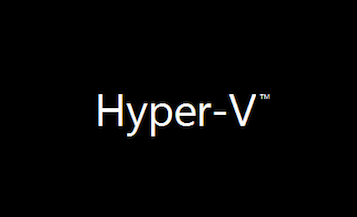 Is Hyper-V a "Type 1 Hypervisor"? But I have no idea really. Microsoft say it's a type 1 hypervisor because it runs directly on the hardware (and no other code runs at the same or higher privilege levels on the CPU). But does this actually have a measurable effect? Wikipedia describes the cpuid opcode of modern Intel CPUs that can apparently tell me if I am running in a virtual machine or not. Calling cpuid returns values in the EBX, ECX and EDX registers, notably the maker of the CPU ("GenuineIntel" on all my qualifying computers) and a bitmap of CPU features in ECX and EDX. The two features I found possibly useful are ECX bit 31 ("hypervisor", allegedly shows if a hypervisor is present) and ECX bit 5 ("vmx", allegedly shows whether the CPU supports the hyperprivileged mode hypervisors want to use). I tested on five configurations. Configurations 1, 3, and 4 are VMs. A hypervisor is detected and the (virtual) CPU does not offer a hyperprivileged mode. Configurations 2 and 5 are not VMs. No hypervisor is detected and the (therefor physical) CPU does support a hyperprivileged mode (since it is not in use by a hypervisor). The so-called "parent VM" running on Hyper-V is definitely a VM and does not see the real CPU. Hyper-V does indeed run between all operating system instances and the hardware. So it must be a type 1 hypervisor. I'll have to try this on KVM next.